DOE and ORNL have been major drivers of Earth system models in recent decades, and ACME will provide scientists with Earth system models that take advantage of upcoming milestones in computing capability. As new HPC architectures support computing power at hundreds of petaflops and then exaflops (a thousand petaflops), more expansive simulations will enable finer climate predictions. And with more computing power comes significant expectations for scientific discovery. "The model we are building will provide rapid science advances by including new processes such as phosphorous cycling in tropical ecosystems and by making it easier for domain science experts to participate in model development and application," said Peter Thornton, ORNL land modeler and ACME council member and Land Model Task Team leader. "Through innovative software architecture and intensive collaboration, we're building new science bridges to existing communities of observational and experimental expertise, which will challenge and ultimately improve our ability to predict future climate system dynamics." 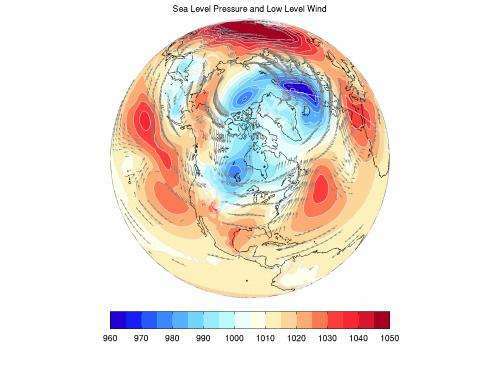 Using DOE Office of Science Leadership Computing Facility resources, including ORNL's 27-petaflop Titan supercomputer, the team will set out on a 10-year plan to develop model codes that address key climate science questions, including those related to the water cycle, biogeochemistry, and cryosphere. In the near term the team will simulate changes in river flow and other parts of the hydrologic cycle by modeling interactions between precipitation and the landscape within high-resolution, fully coupled atmosphere and land surface models. Over the next decade these models will help answer how the water cycle will evolve in a warmer climate and change land and water use. Likewise, ACME models will explore fundamental questions about the impact of carbon, nitrogen, and phosphorus cycles on the climate system and then simulate changes in a warmer environment once new and developing models have been validated. Simulations of the cryosphere, or surface ice in the form of the continental Antarctic ice sheet, will also gain new depth and resolution, allowing researchers to study its stability in the climate system and the potential effects of sea level rise due to melting. To contribute to this advanced model development, CCSI experts in terrestrial biogeochemistry and atmospheric chemistry will work with computational scientists to optimize workflow and engineer new software tools for calculating an increased number of scientific variables at higher resolutions on Titan, the Mira supercomputer at Argonne National Laboratory, and other DOE computing resources. "Our goal is to build the best possible model to run on DOE computers, and with an optimized workflow and a strong software engineering infrastructure, we'll be able to broaden access for domain scientists to tackle detailed scientific problems," Thornton said. CCSI and ORNL researchers involved in the program leadership are atmospheric scientist Kate Evans as Workflow Task Team colead, computer scientist Patrick Worley as Performance Task Team leader, and ORNL National Center for Computational Sciences Director James Hack as ex officio council member.